Looking for a new preppy shirt with high design and innovative details? Then Bryland, a new lifestyle living clothing and accessories line started by a couple friends seeking to bring high-end resort wear back, will be your new favorite brand. 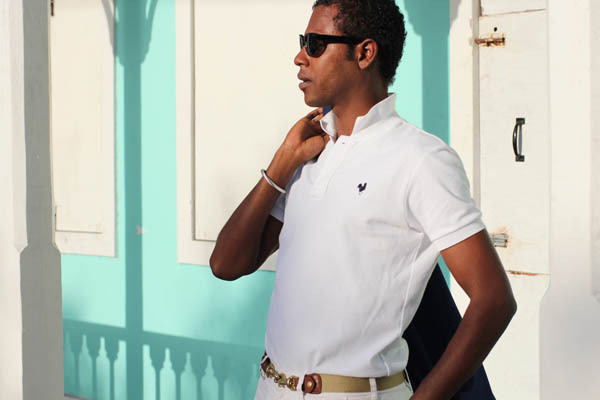 With their signature rooster logo which is meant to be both a playful yet regal symbol, the brand founders are bringing their signature polo shirt and accessories to luxury resorts and will even open a pop-up shop next summer in the Hamptons. Bryland was designed as a casual yet elegant alternative to casual beach wear so you can be both comfortable yet stylish. With fine materials, fun colors and serious to attention to detail, they are putting class back into classic island wear. Not only do the shirts look custom tailored, the guys thought of everything, including a collar that stays perfectly popped all day long, a special invisible loop to fit your sunglasses through – which took months to engineer – and wooden buttons. With your signature Bryland look, you’ll be ready for a day of sailing or relaxing on the beach, so their oversized beach towels with large pockets are perfect for ensuring you have a place to unplug your stuff without losing anything. Make sure you snag their signature polo shirt and accessories for yourself or the well-traveled fashionista in your life.